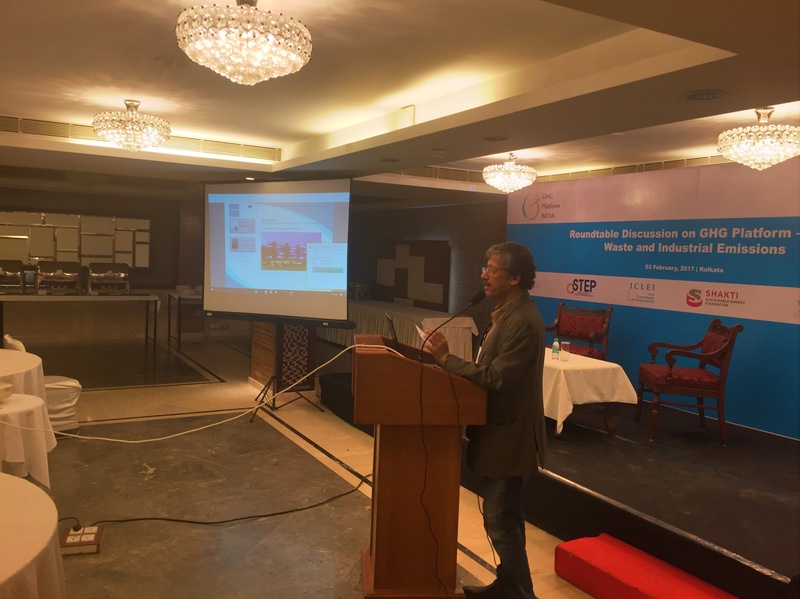 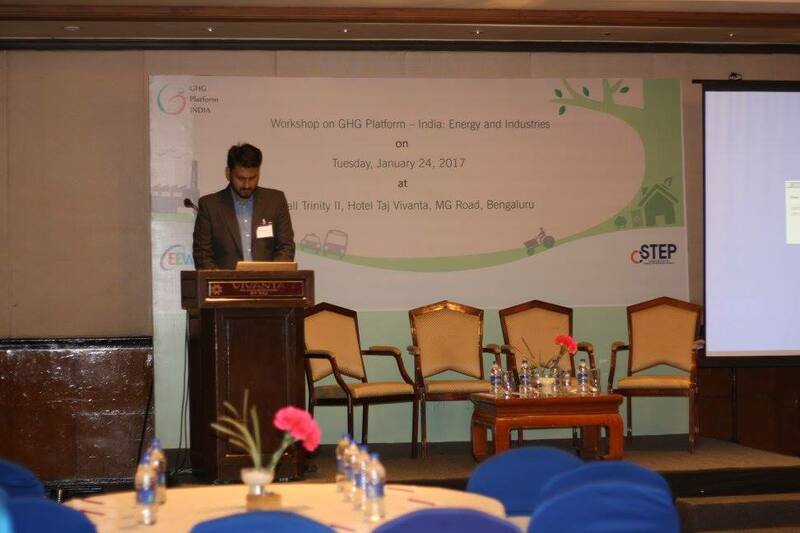 GHG Platform India presented the results and findings of its second phase of estimating GHG emissions at the national and state level from 2005 to 2013. 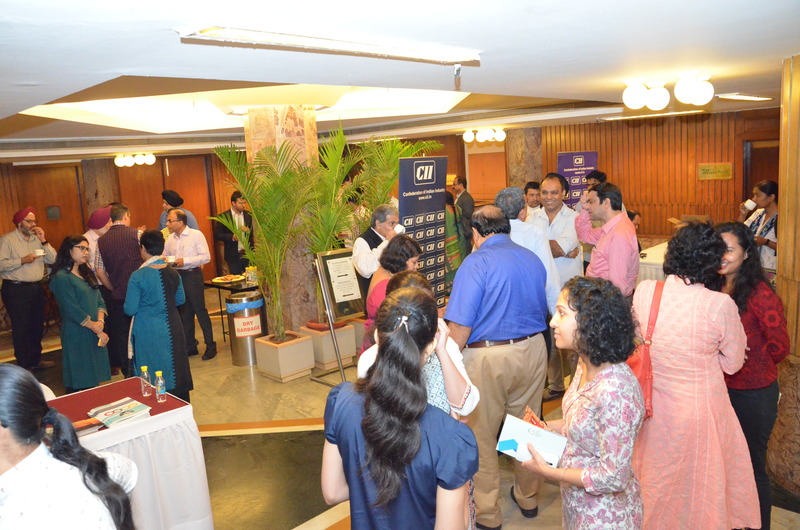 The event was well attended with over 55 participants registering. 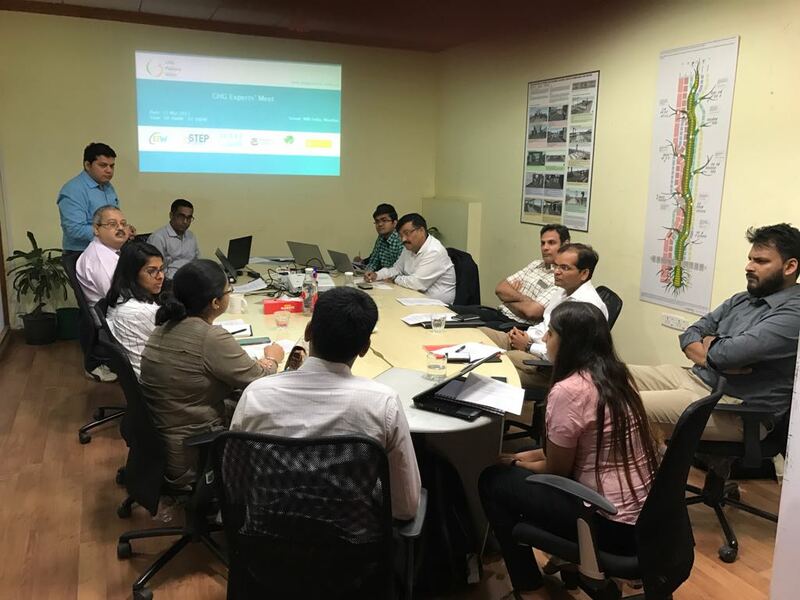 The Government was also well represented with officials from relevant departments of Madhya Pradesh, Punjab and Uttar Pradesh as well as from Ministry of Environment and Forests and Climate Change at the Centre. 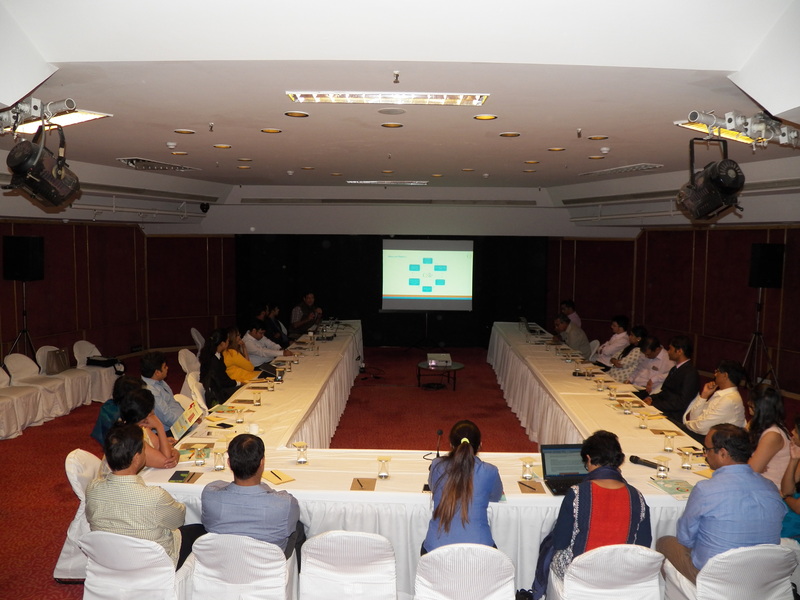 The results and findings of the platform were well received. 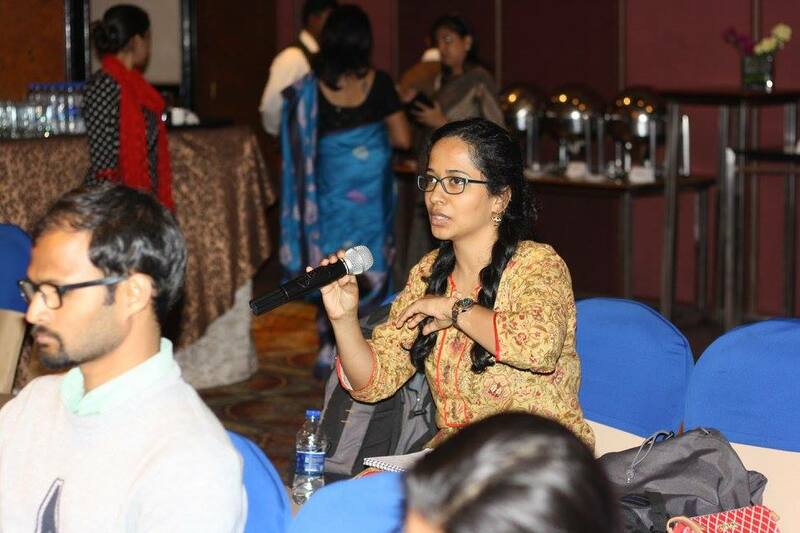 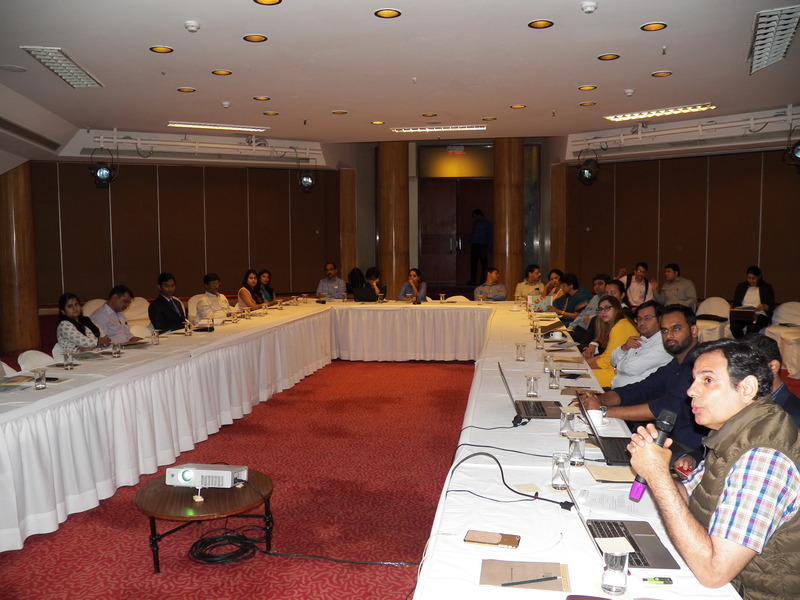 While most civil society representatives expressed their appreciation for the rigorous and high quality data being placed in the public domain, even the government officials expressed their support for this initiative as a good aspect of quality assurance and quality control to showcase for even the official GHG inventories when being subjected to International Consultations and Analysis. 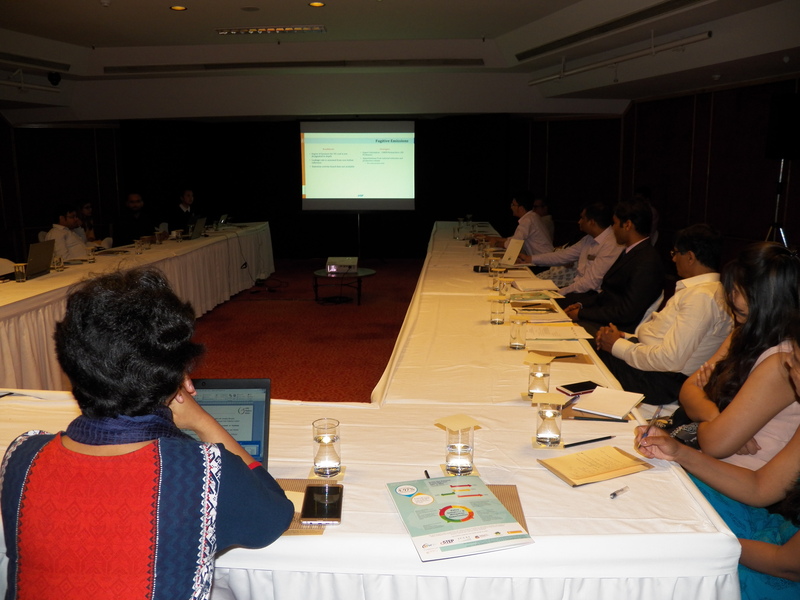 During the meeting, several challenges in terms of methodology approaches, appropriate usage of proxy activity data, approaches to be adopted for apportionment of national data to state level data and vice versa in the absence of accurate activity data, activity data source for non-organized sectors, uncertainty in data and emission factors and associated approaches to reduce uncertainty, etc. 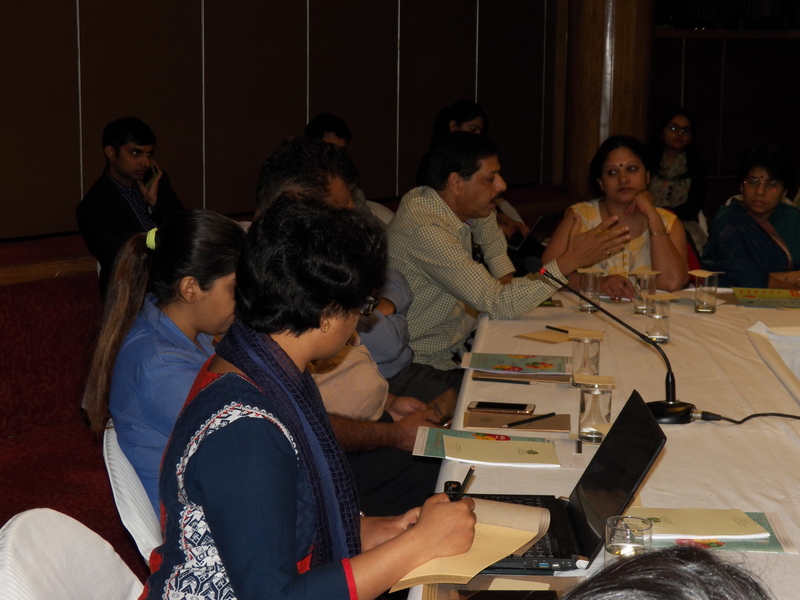 were discussed. 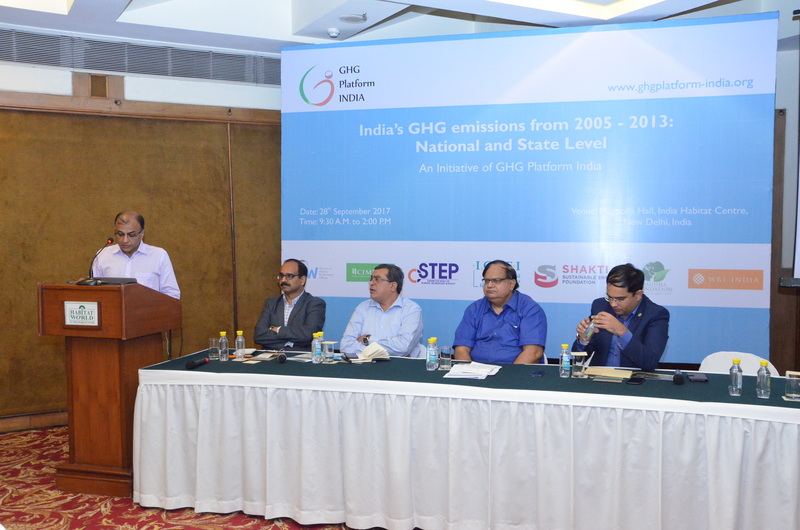 GHG Platform India, in the second phase, is diving deep into GHG estimation at national and state level and extending the time series to 2005 to 2013. 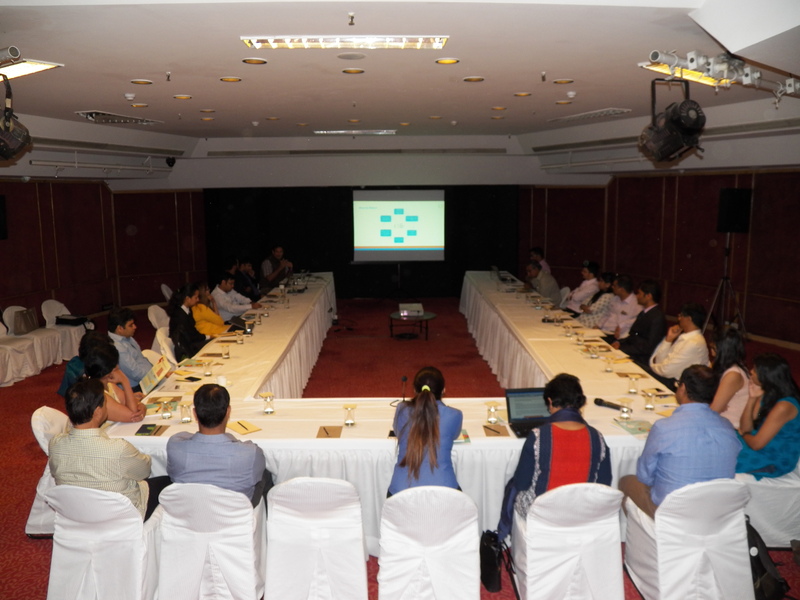 It was understood that the platform would meet with numerous challenges going forward. 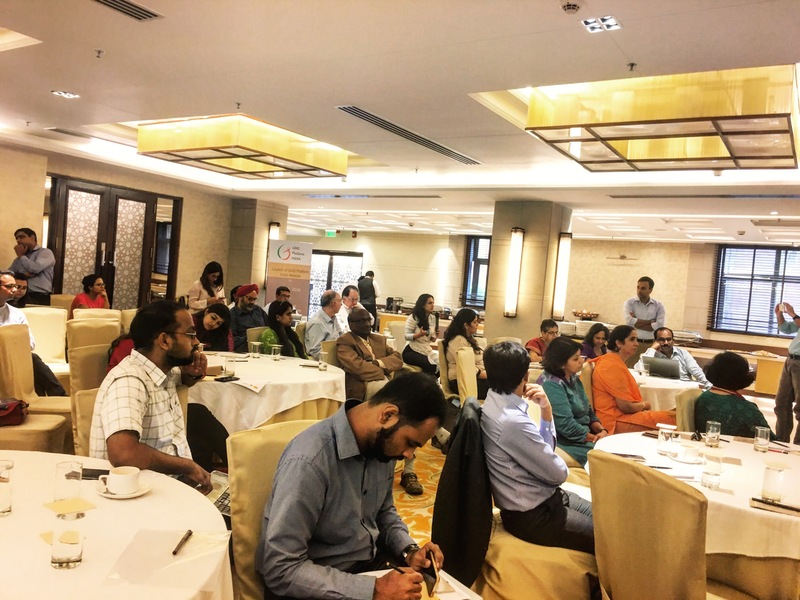 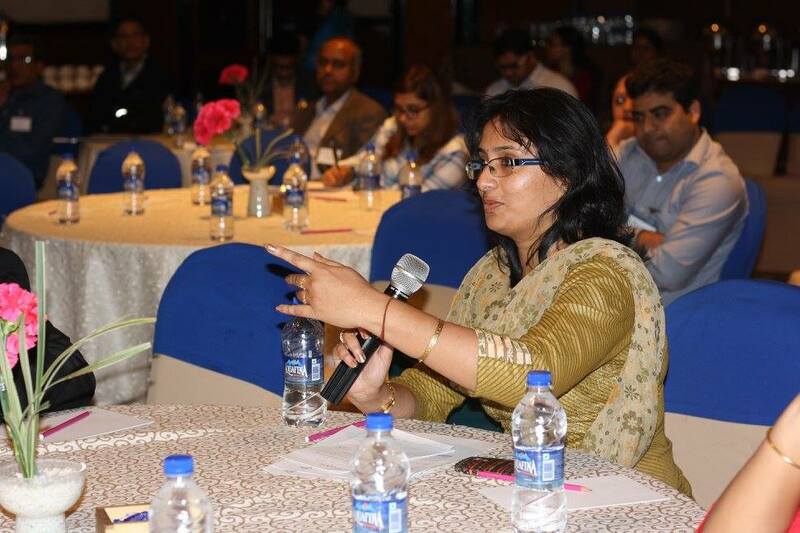 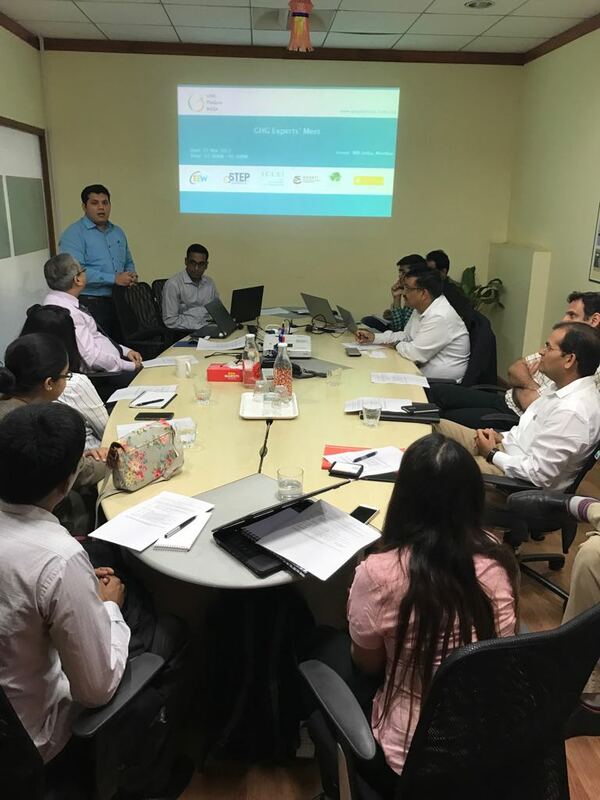 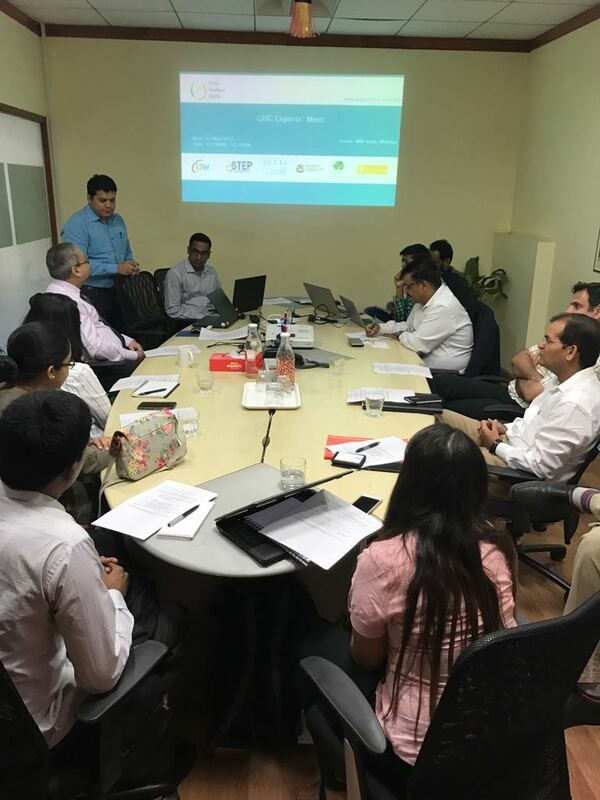 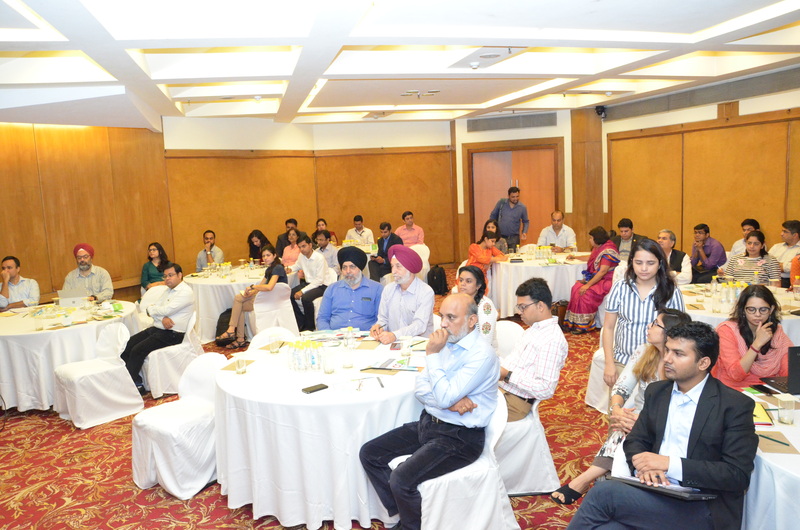 WRI India, therefore, invited GHG Experts in and around western region of India in order to stocktake their opinion and plausible solutions to the challenges that the platform is likely to face on methodological issues, calculation methods and activity data related issues. 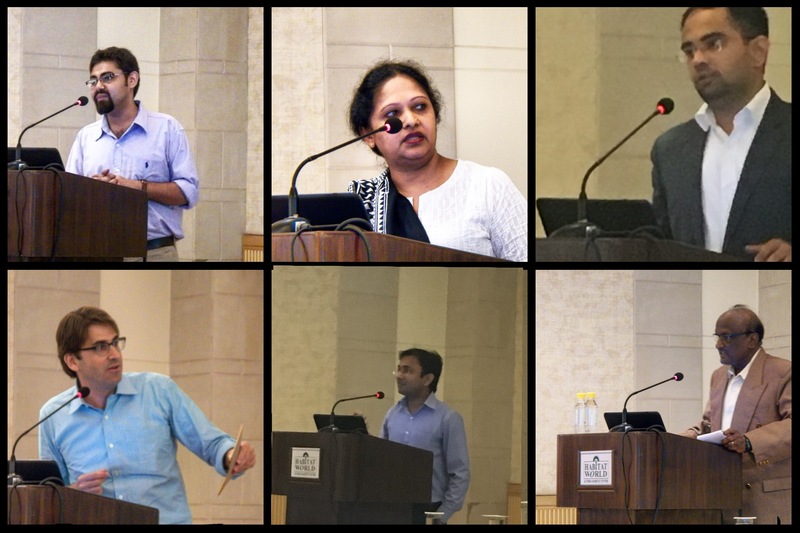 The event took place at WRI India, Mumbai office on 17 Mar 2017. 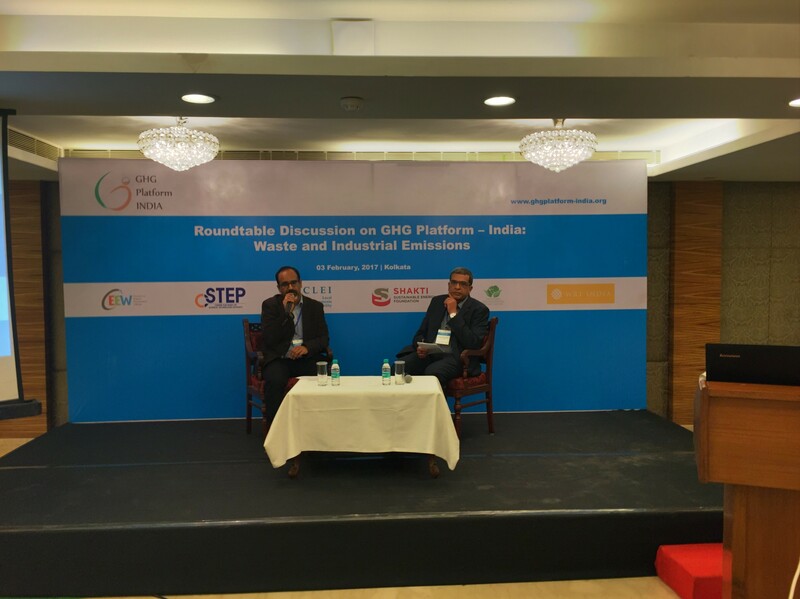 The discussion was driven more on finding the solutions to the roadblocks that is likely to be faced by each sectoral partners. 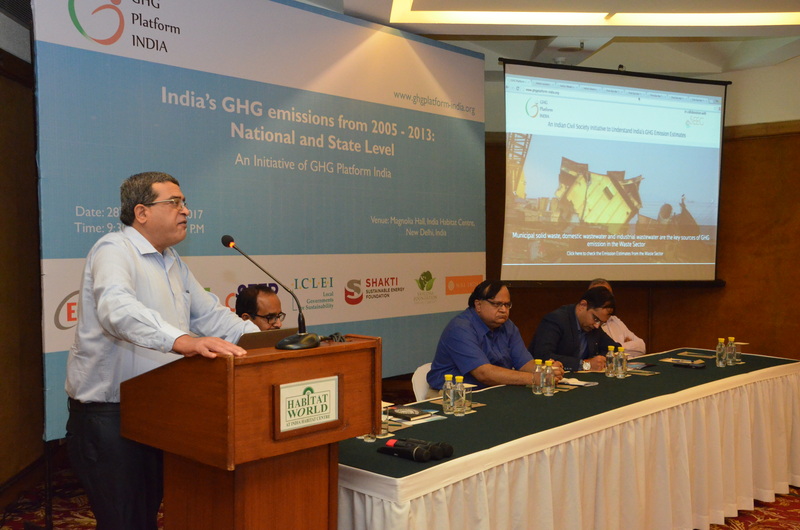 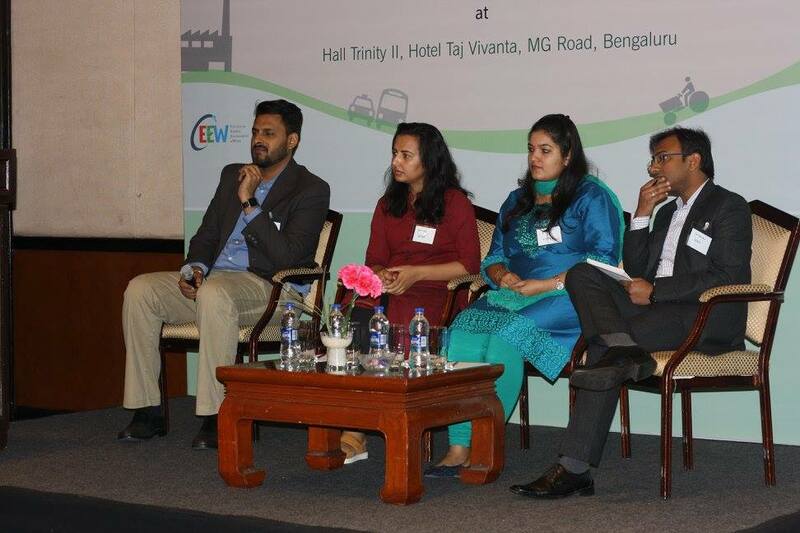 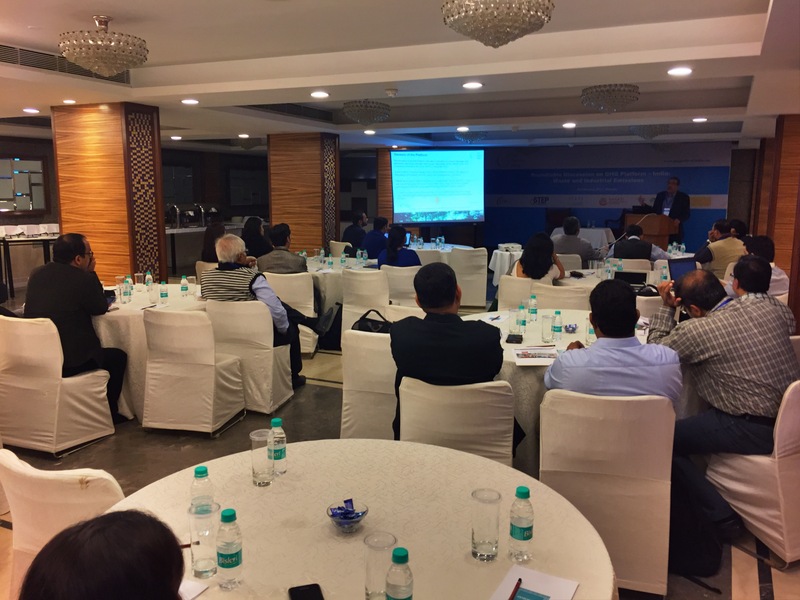 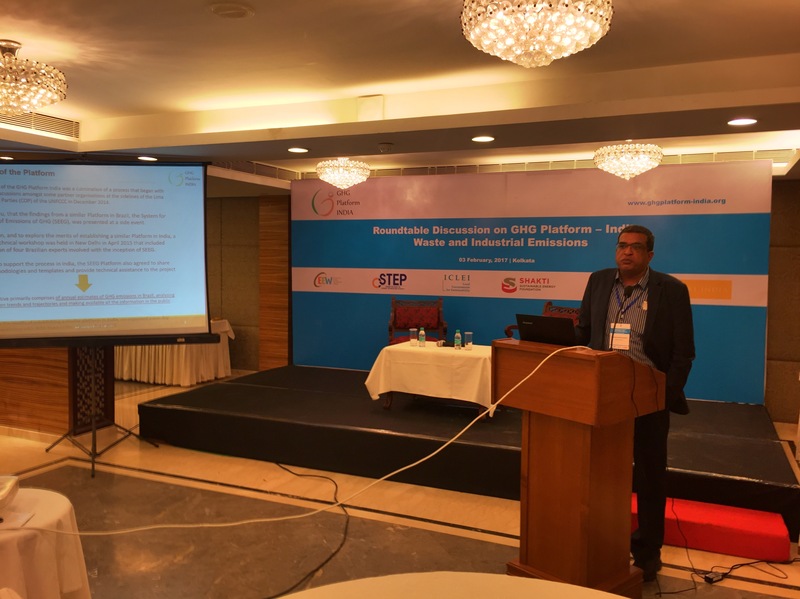 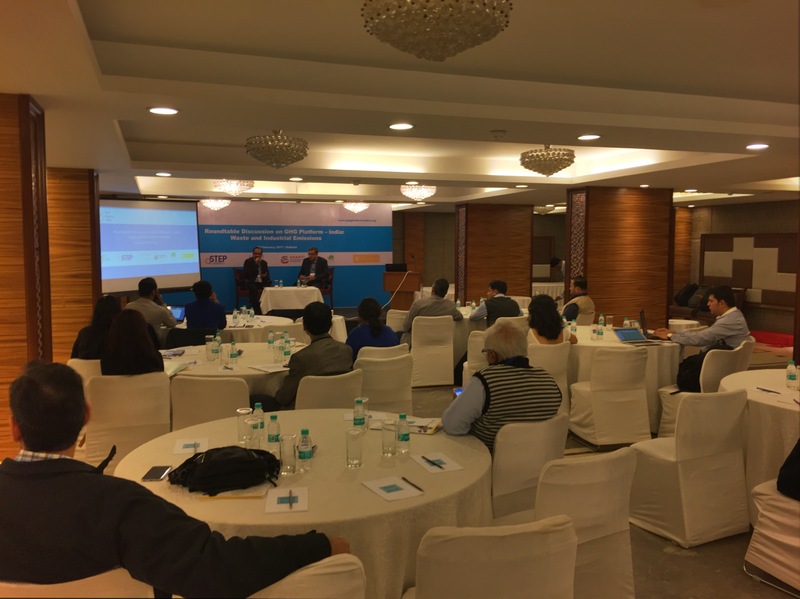 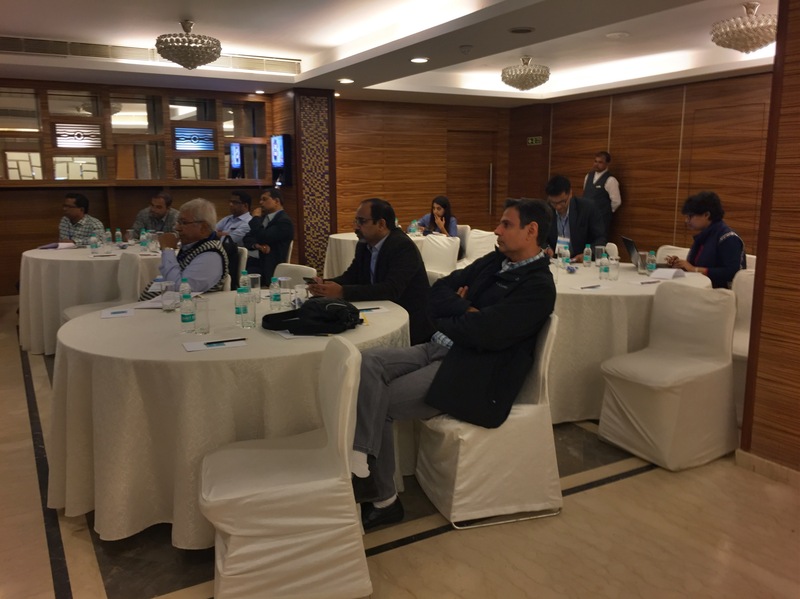 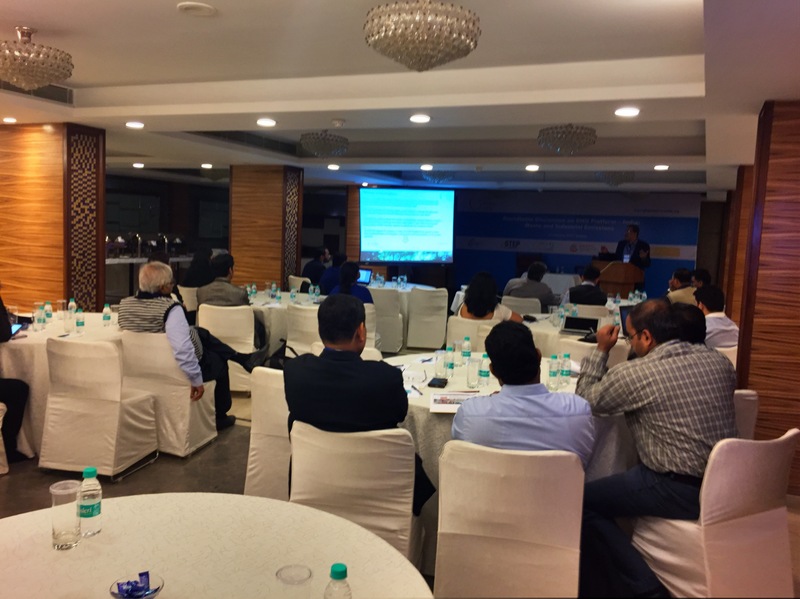 International Council for Local Environmental Initiatives organized a roundtable to discuss the GHG Platform India – waste and industrial emission estimates. 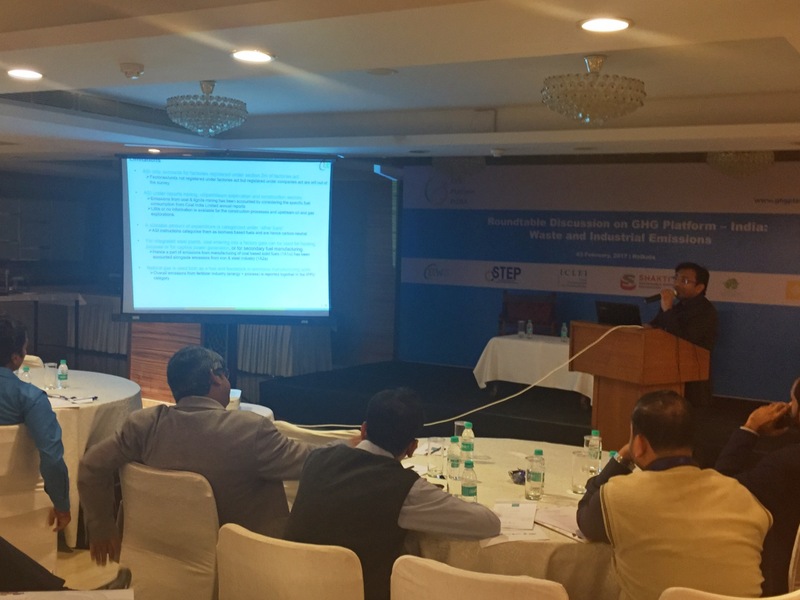 The discussion focused on the methodology adopted for the emission estimations, data sources and assumptions, and challenges in the sector. 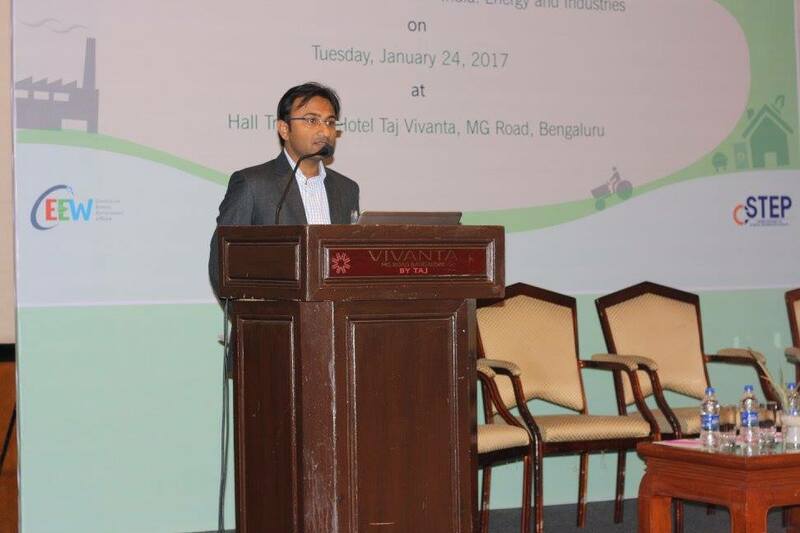 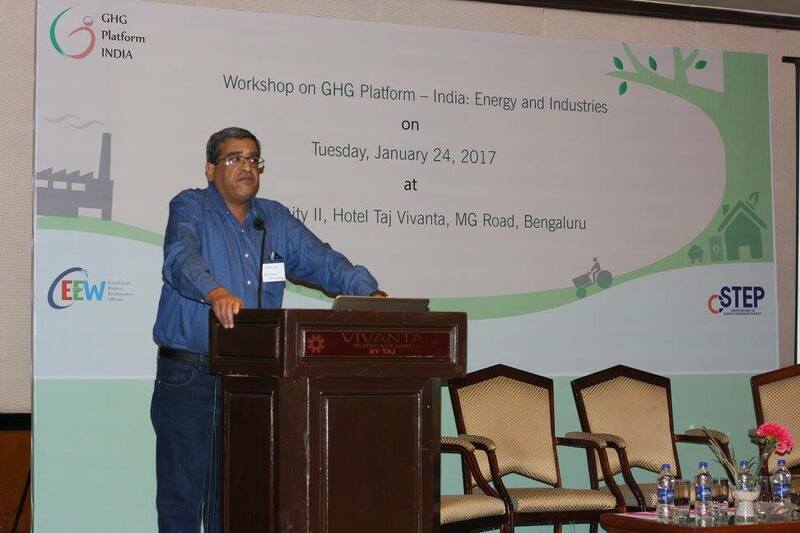 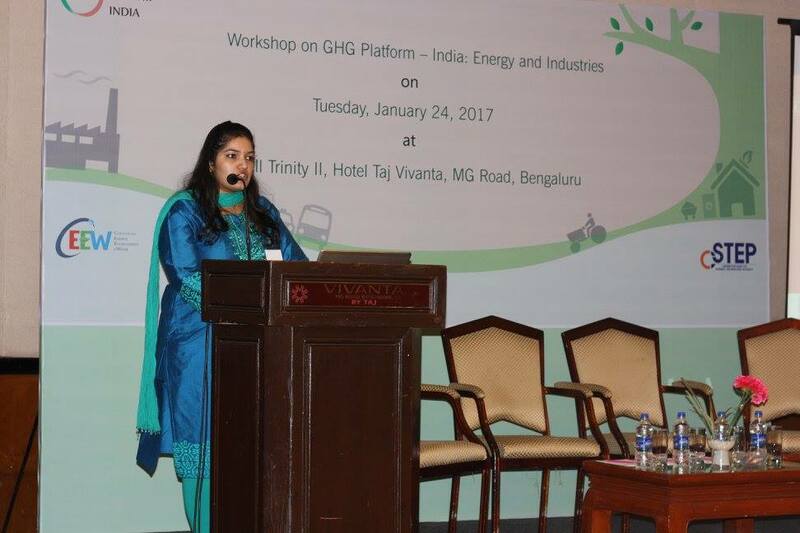 An Interactive Stakeholder Consultation Workshop on GHG Platform India organised by Center for Study of Science, Technology and Policy and Council on Energy, Environment and Water at Taj Vivanta, Bengluru on 24th January 2017. 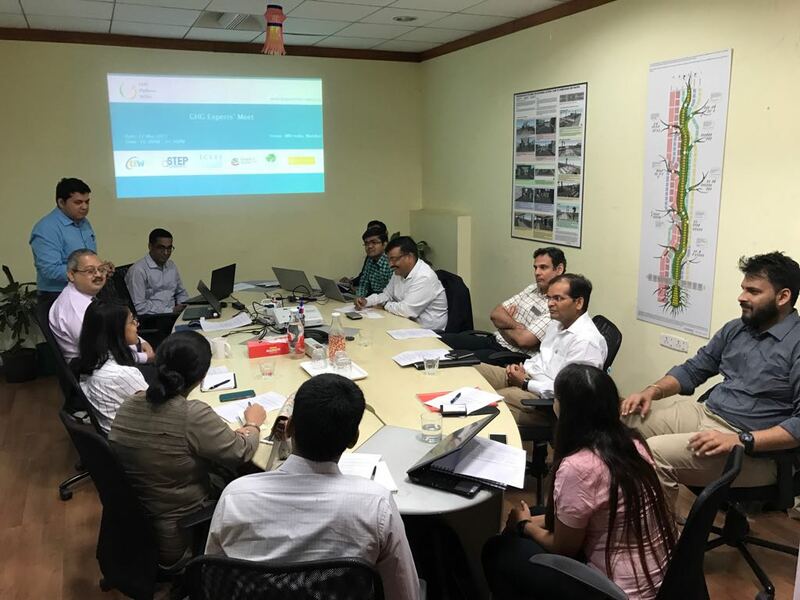 The objectives of the workshop were to showcase the results of a trend analysis conducted during the first phase of the project, present the methodology of the second phase and deliberate on the challenges foreseen for the second phase. 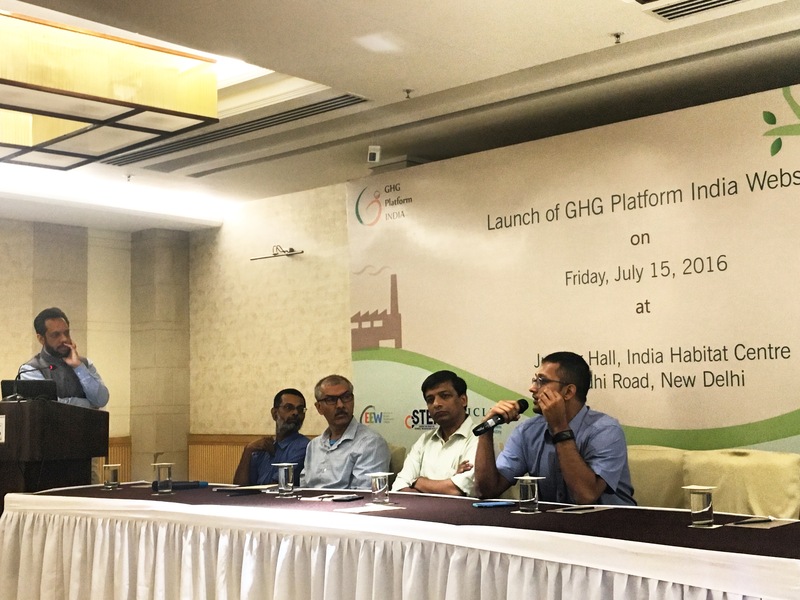 The website of GHG Platform India was officially launched on 15th July 2016 at India Habitat Centre, New Delhi. 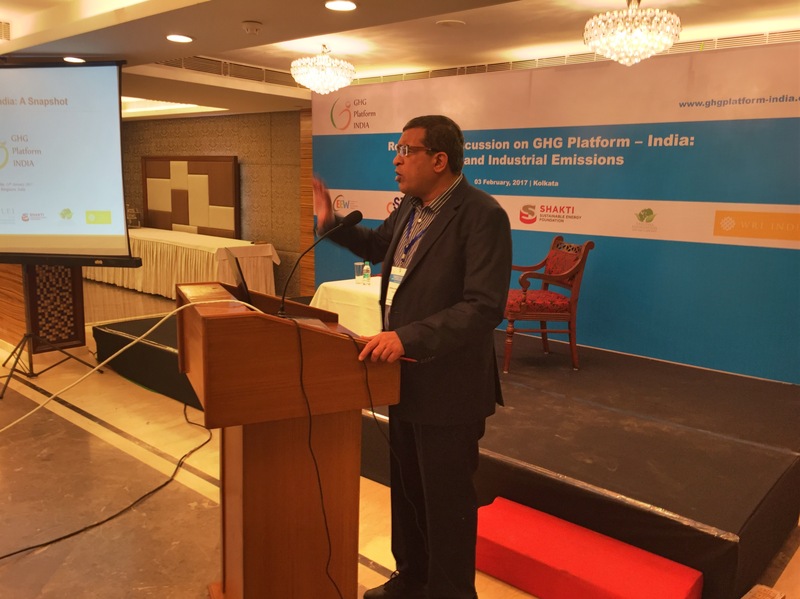 During the launch event, the platform showcased National level emission estimates from 2007 – 12 from key sectors such as energy, waste, industry, agriculture, livestock, forestry, and land-use and land-use change sectors represented in a transparent and comprehensive way.